Following Sunday’s 3-1 defeat to rivals Liverpool, manager Jose Mourinho was removed from his post with Ole Gunnar Solskjaer being brought to succeed the Portuguese on an interim basis for the remainder of the season. 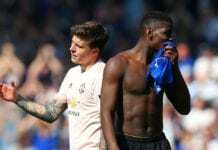 This came after United’s worst start to a season in 28 years with the club down in sixth-place in the Premier League and 11 points behind Chelsea in the final top-four spot. 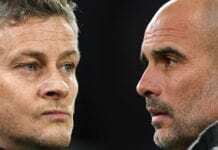 However, Silva believes PSG would be unwise to take United for granted under the relatively unproven Solskjaer – who has never coached a major European club before. “United, it is always a dangerous team,” said Silva, according to Goal. “Under Mourinho, I think they could have done better. 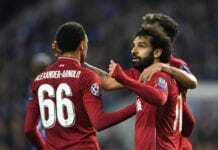 “The motivation of the players is very strong, they will be motivated to play well, to win matches, and this is a team that will cause us a lot of difficulties so we will have to prepare. “Many people think that the draw is good because Manchester are not playing well, but they still a very good team. PSG will travel to Old Trafford for the first leg of their last-16 tie on February 12 before hosting United in the return leg at the Parc Des Princes on March 6.